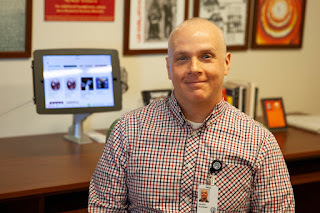 Partners in O&M: Supporting Orientation and Mobility for Students Who Are Visually Impaired, is a resource that bridges the gap between what O&M specialists teach, and every day life with parents and TVIs. In chapter 4, readers learn about O&M for children with CVI. SIDEBAR 4.7 O&M Strategies for Working with Students with CVI Roman-Lantzy (2010, 2018) suggests that teaching strategies and modifications used when working with students with CVI should be individualized, based on the student’s CVI characteristics as well as O&M principles. 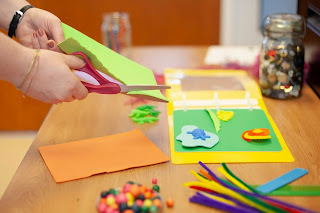 The following are a few strategies and modifications that can be used by the O&M specialist as well as other members of the educational team. One part of our collection that I do not write enough about is our games. I love board games, myself. My family has a mountain retreat stocked with favorite books, well-worn vinyl records, and stacks and stacks of board games. Our Throwback Thursday object this week is a cardboard box of plastic checkers. One set is round and the other is square. 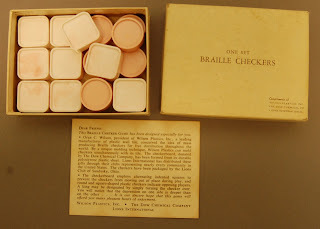 They were distributed by Lions International, around 1970, and marketed as “Braille Checkers,” but there is really no braille on them. You sometimes see tactile things marked that way, as if “braille” is a synonym for tactile. I think Louis would have liked that, but it probably drives folks who work on the braille code crazy. The checkers were manufactured by Wilson Plastics and the set came with a plastic board made by Dow Chemical that featured indented squares. Unfortunately, we do not have one of the original boards, but we are still looking! Instructing someone who is blind or visually impaired how to cross the road is an important O&M skill. Properly gauging the traffic around you can be the difference between safely getting around and being in an accident. Orientation and Mobility Techniques has a handy guide for crossing at uncontrolled crossings.